The prestigious list from eLearning Industry recognizes companies that focus on quality and innovation and earn high marks from their clients. 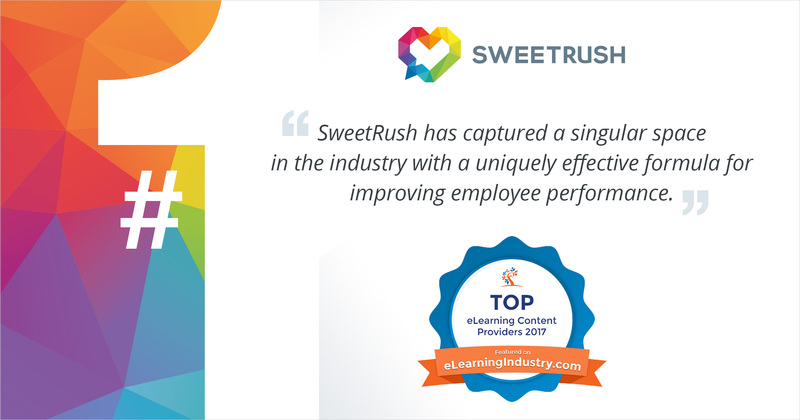 San Francisco, Calif., October 20, 2017 — eLearning Industry recently published its annual Top 10 eLearning Content Development Companies list — and SweetRush earned the coveted top spot on the list for the fourth consecutive year. Visit elearningindustry.com to see the complete list of the Top 10 eLearning Content Development Companies.